I snagged this recipe from my in-laws (thanks folks!) and now I’m sharing it here because everyone should be making these…all the time…constantly. I mean it. 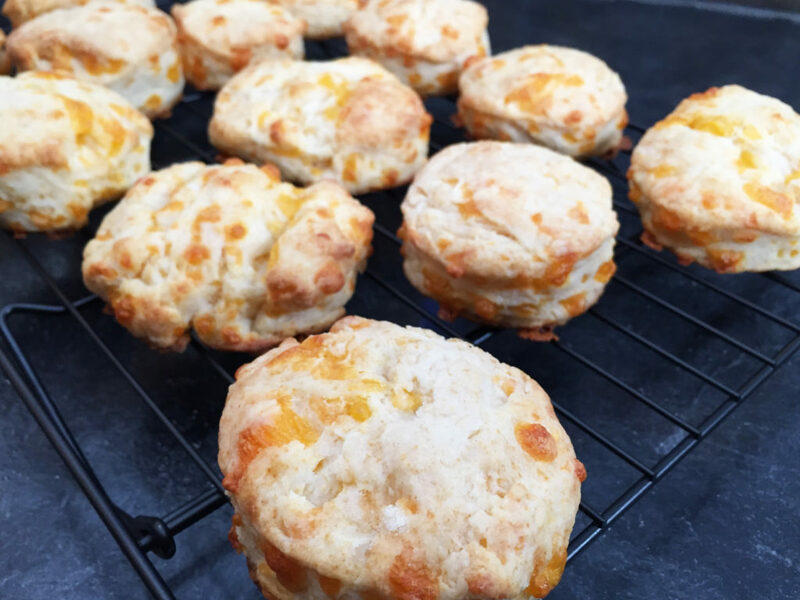 I struggle with the problem of convincing myself that I will never be able to enjoy hot, fresh-baked biscuits with my dinner because, really, who has time for that? 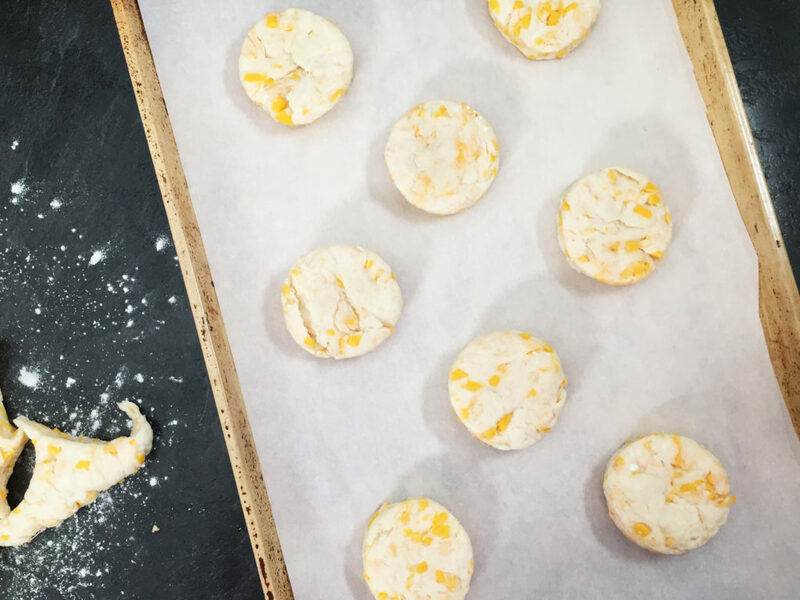 But honestly, these biscuits are so fast and easy to make! The majority of your time will be spent grating the cheese, and you can even skip that part by buying a bag of the pre-grated stuff. 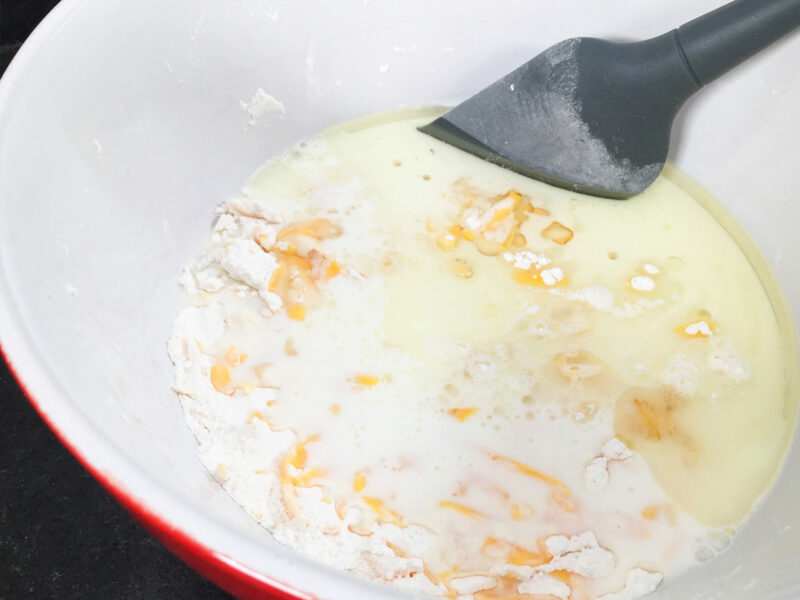 What I particularly love about this recipe is that everything gets mixed together in a single bowl (hardly any clean up!) and the bake time is very short. 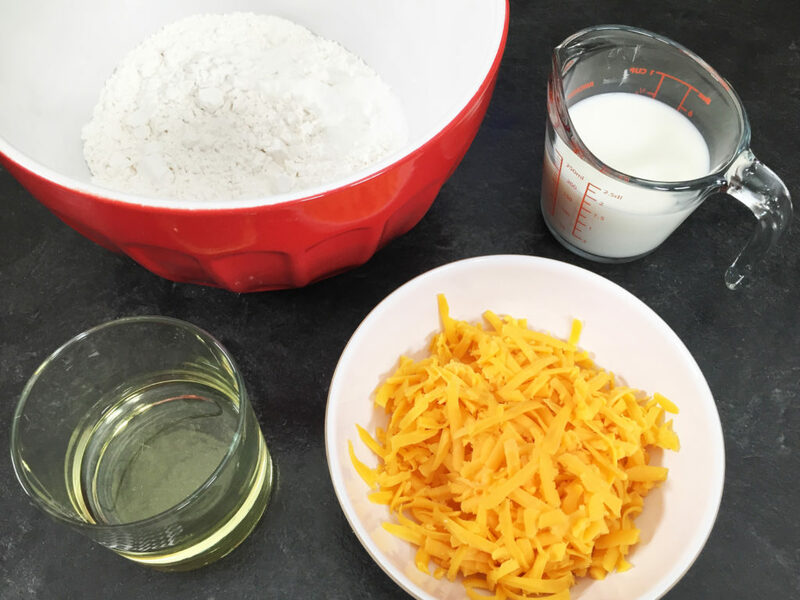 Simply mix all your dry ingredients together in a bowl, add your oil and milk, then stir until it all comes together as a soft dough. 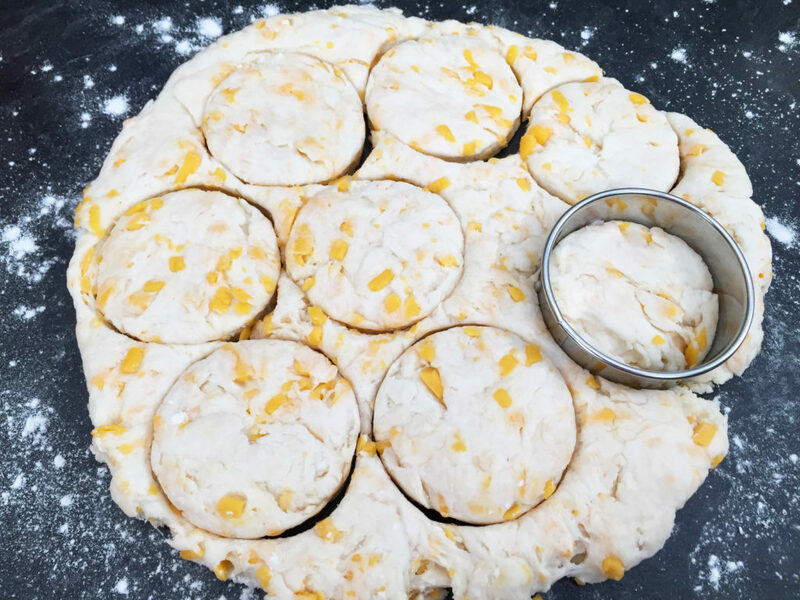 Roll the dough out onto a lightly floured surface and use a round cookie cutter to cut out circles. (I used a 2 1/2″ round, but here’s a pro tip! You can also use a drinking glass if you don’t have any cookie cutters on hand). Once you’ve cut out your circles, collect your scraps, re-flatten them and then cut out more circles until you have no more dough left. Place the rounds on a cookie sheet a couple of inches apart and bake for 12 to 15 minutes. 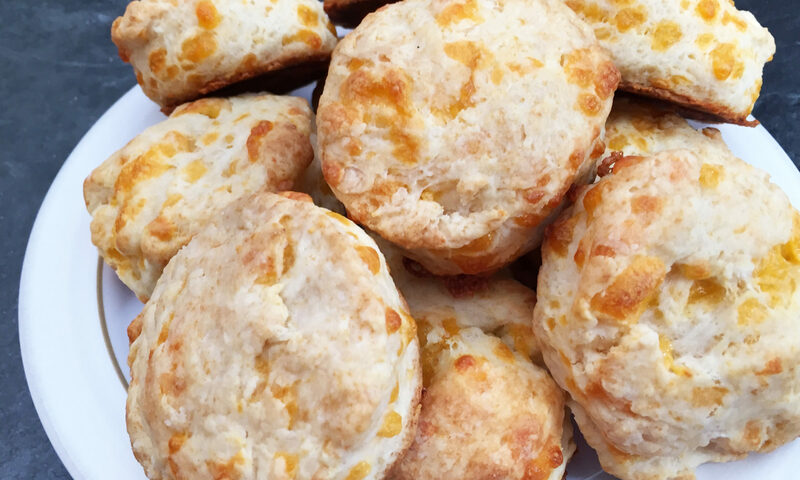 The biscuits will rise up into heavenly little melt-in-your-mouth poofs of cheesy deliciousness. The only thing you’ll have to worry about is trying to restrain yourself from eating them all in a single sitting, particularly while they’re still warm from the oven. In a large bowl, stir together flour, baking powder, sugar and salt. Add grated cheddar and stir until combined. Add the vegetable oil and milk. Stir together to form a soft ball of dough. 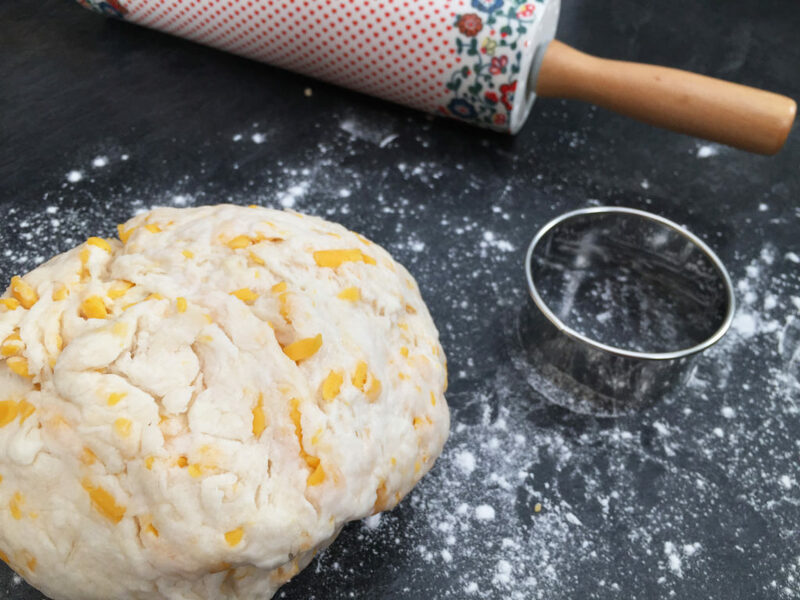 Place dough on a lightly floured surface and knead gently a few times to make sure everything is well incorporated. Roll or pat the dough flat to about 3/4″ – 1″ thickness. Use a 2 1/2″ cookie cutter to cut out circles. Place on a cookie sheet about 1″ apart. Bake for 12-15 minutes until biscuits are just starting to turn slightly golden brown. A friend served these with a Smitten Kitchen pumpkin soup yesterday. They were fantastic. I woke up this morning with your biscuits still on my mind, so I tried a currant and coconut oil version. Ready for the oven by the time it had preheated, minimal dishes, and so delicious. Thanks for a great recipe. So glad you liked them! I bet they were great with the currants. My favourite part about these is how quickly you can throw them together, and they’re versatile too!